A founder of American modernism, as an industrial designer he was responsible for some of the 20th century’s most iconic modernist furniture, both as a designer and as Director of Design at the Herman Miller company. Nelson graduated with a degree in architecture from Yale in 1928, having already received recognition as an undergraduate with publications in the Pencil Points and Architecture magazine. He then completed a second degree in Fine Arts and won a scholarship to study in Europe. There he met contemporaries such as Mies van der Rohe and introduced the work of Le Corbusier, Walter Gropius and other modernists to an American audience through his articles in Pencil Points and Architectural Forum magazines. Through his writings Nelson introduced the concept of the “family room” and the “storage wall”, which was representative of his practical approach to architecture – of finding solutions to problems rather than following a particular school of thought. For these reasons he was appointed Director of Design at Herman Miller and so began a phenomenally successful period as work by Charles and Ray Eames, Harry Bertoia, Isamu Noguchi and others became best selling icons of modernist furniture design under the Herman Miller umbrella. 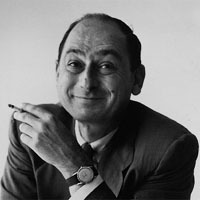 Nelson also founded his own design studio, George Nelson Associates, which pioneered the concept of the corporate image management and branding more generally. The studio closed just prior to his death. Although he was involved in the design of what became known as the "office cubicle" he became a fierce critic of its underlying tendency to treat people as "corporate zombies". His own design work is somewhat controversial. His best known pieces, the Marshmallow Sofa and the Ball Clock, while attributed to George Nelson, were in fact designed by employees but marketed as his because of his public reputation.